How should a hat fit? It's a seemingly simple question that's not always so easy to answer. That's because unlike our more formal forefathers, most people today don't wear hats on the regular. (The exception being baseball caps, of course. These icons of casual headgear are here to stay.) Thankfully, dress hats and other stylish toppers are having a major comeback. 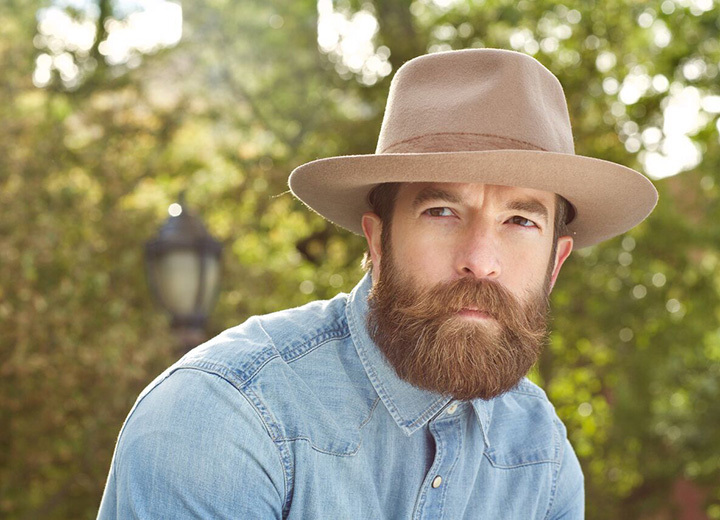 With this resurgence comes a renewed interest in how to properly wear a hat. The best way to make sure your hat fits properly is to follow our step-by-step instructions on how to measure your head. It might sound like work, but we promise it's a lot easier than you think. That said, if you're in no mood to whip out the measuring tape and deal with numbers, you can just do the “feel” test: If the hat feels right, chances are it is. You also want to take your face shape into consideration. Even if the hat feels right, it might not look right. Are you sure that pork pie hat is ideal for your square face? Do you even know if you have a square face? What if it's actually a long oval?! 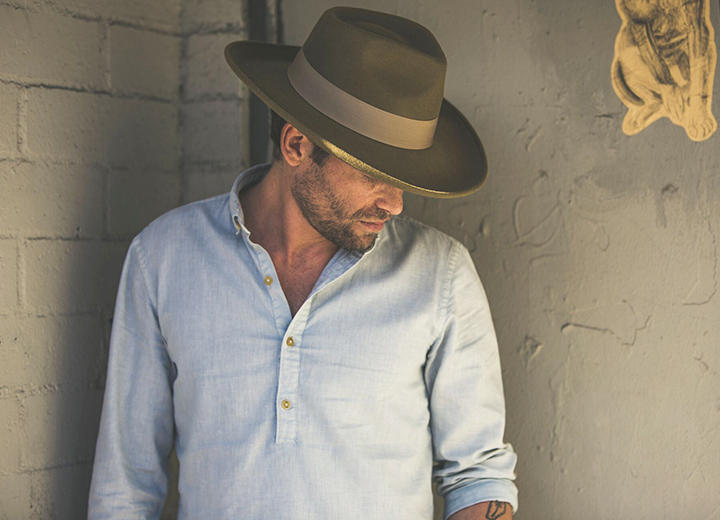 Take a look at our guide on how to find a hat that flatters your face and you'll be rocking the best hat in no time. Different materials feel different. Cotton fabric might have a little more "give" than leather or straw at first, while wool felt is especially prone to shrinkage. Familiarize yourself with a hat's composition and understand how it might stretch or shrink over time. 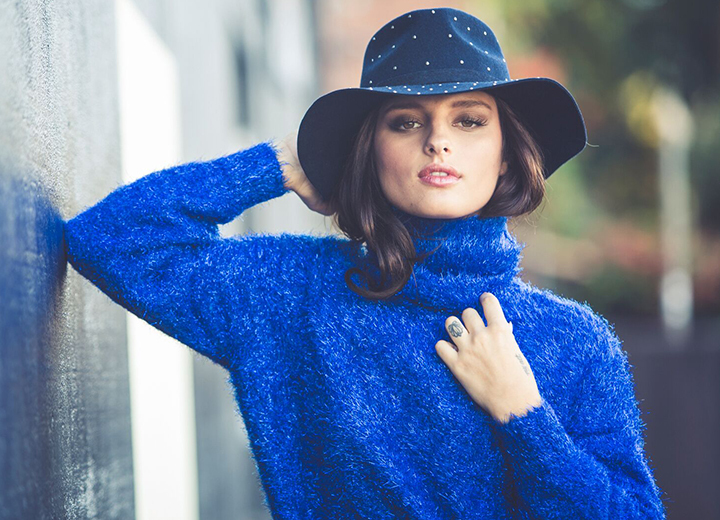 Pssst...don't miss our insider hacks for stretching hats, shrinking hats, and reshaping hats. Once you measure your head with our convenient hat size chart, you might find that you are between sizes. If this is the case, it's better to choose the next larger size rather than one that is too small. The hat should sit comfortably mid-forehead above your eyebrows and not obstruct your view. 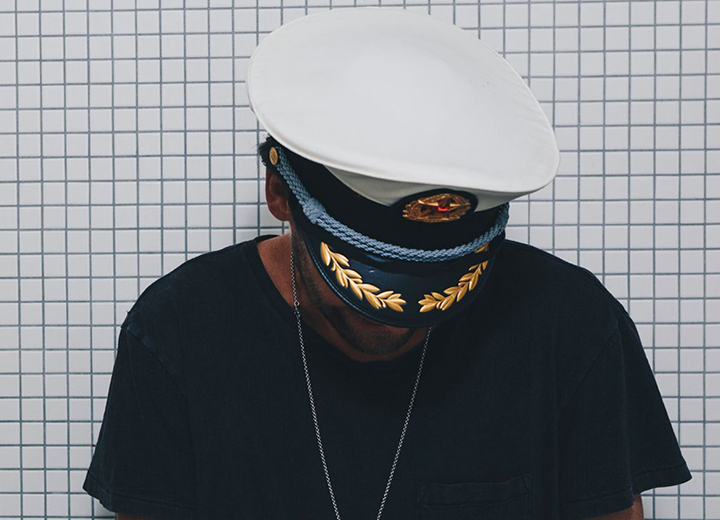 The sweatband inside the hat should provide a snug fit, not a tight fit. If you feel any tension or end up with deep red marks on your forehead, pick a looser-fitting hat. If you can fit one finger between your head and the cap then you know you have the right size. The easiest way to adjust how a hat fits is to use hat tape, also called hat size reducer. 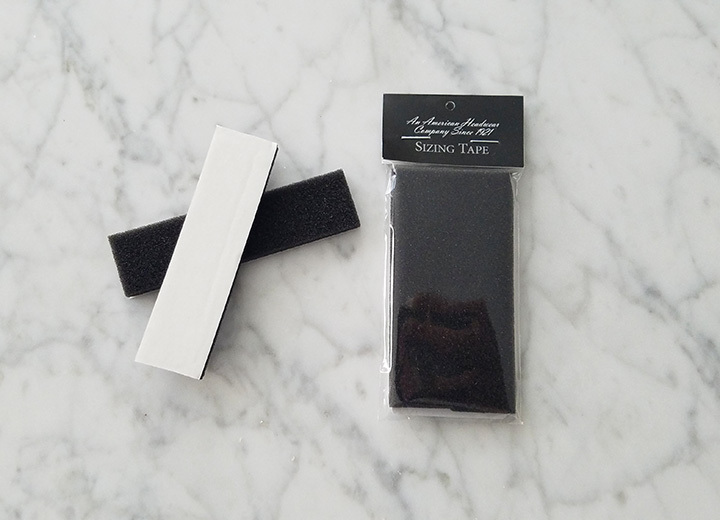 These inconspicuous foam strips have adhesive on one side that sticks to the inside of the sweatband to create a more secure fit. If you end up choosing a hat that's a little too loose, hat tape is your secret BFF. Along with your face shape, don't underestimate the importance of knowing your body's proportions. 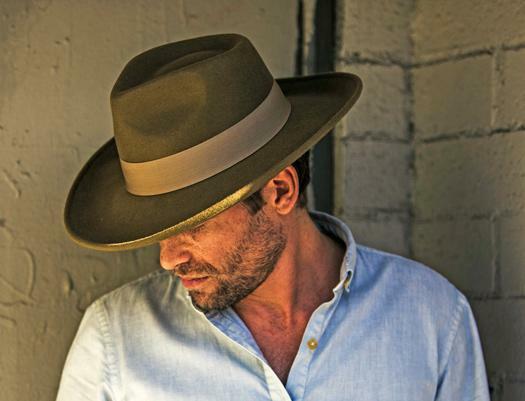 If you have really broad shoulders, consider a wide-brim topper to maintain balance — a tiny-brim hat such as a trilby is going to give you a shrunken head effect. Conversely, if you have a smaller frame, a hat with a really tall crown or a brim wider than three inches could be an overwhelming silhouette. Chances are you don't need a manual on how a baseball hat should fit, but just in case, here goes: A baseball cap should be worn with the bill forward, creating a shield for your face. That's the most common way to wear one, anyhow. Some guys like the backwards cap look, but it certainly won't give you any protection from the sun or rain. Baseball caps come in three fits: snapback, which features adjustable snaps (usually plastic) in the back; strapback, which is adjusted with a rear strap; and fitted, which comes "as is" and can't be adjusted. 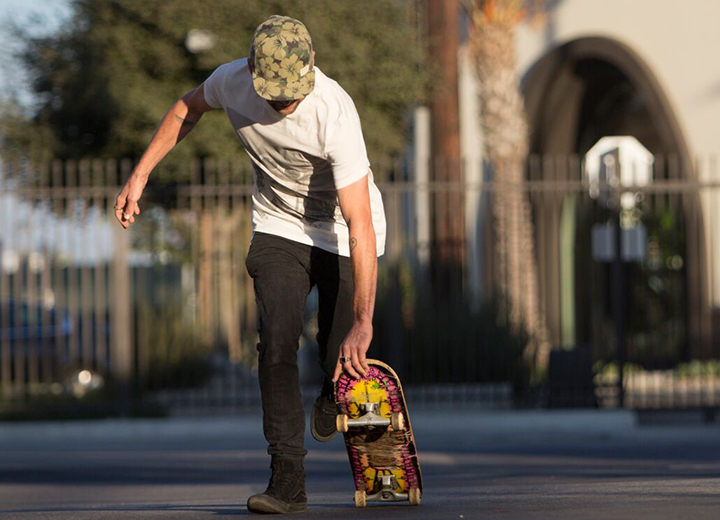 All three fits should feel secure enough to withstand most activities, be it skateboarding, hiking, or (surprise!) playing baseball. 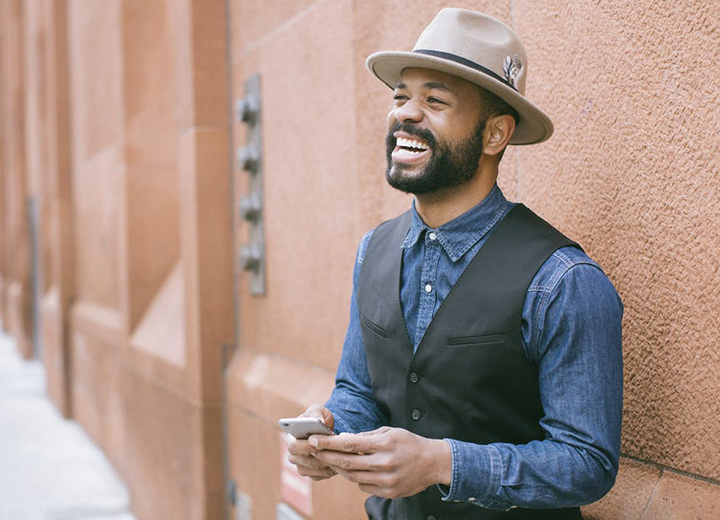 A catch-all description for a variety of hats rather than one specific style, fedoras are soft-brimmed hats with a center-crease crown punctuated by two side pinches. 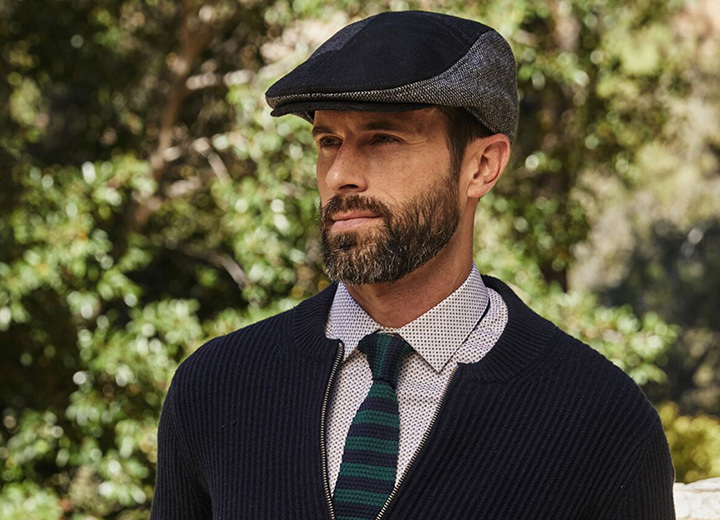 Because of their versatility, fedoras can range from classic Frank Sinatra-esque wool felt hats with somewhat stingy brims to straw Panama hats with wide brims. 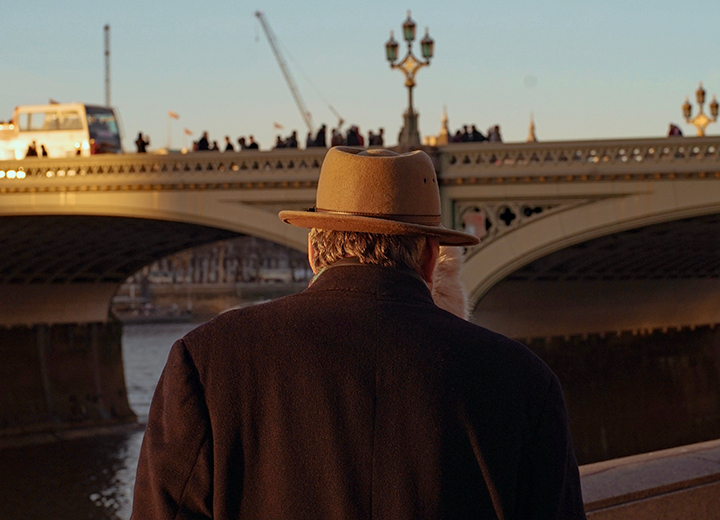 When wearing a fedora, it should fit comfortably on your head without ever feeling like it's going to fall off, even in breezy weather. They have a distinctly different look from baseball caps, but flat caps and ivy caps should be worn in a similar fashion — bill forward with a secure fit around the sweatband. Wear it close enough to your head to avoid unnecessary puffiness in the crown. They're called flat caps for a reason, after all. 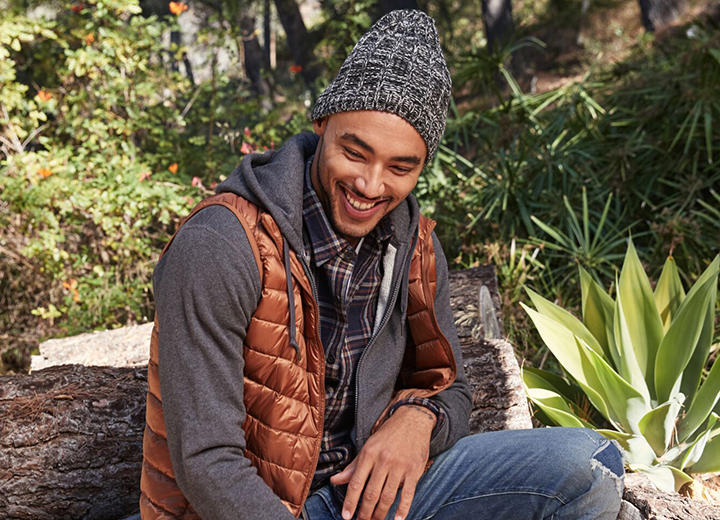 When it comes to wearing beanies, choose one that accommodates your hair type and head shape. These knitted caps conform to your head, so if you have long curly hair, opt for one that will stretch yet stay put. Likewise, if you have short strands of fine hair, pick a beanie that securely covers your mane without unneeded material dangling in the back. 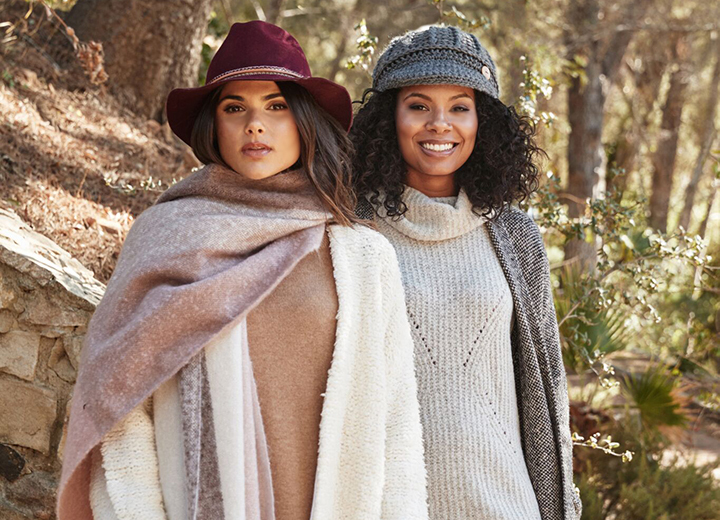 Beanies come in natural fibers like cotton and cashmere as well as synthetic blends that range from acrylic to polyester, so there's something for everyone. Fit, form, and function. It's the trifecta of hat wearing, so make sure you do your homework and pay attention. Look in the mirror, test how different hats feel, and by all means, have fun. 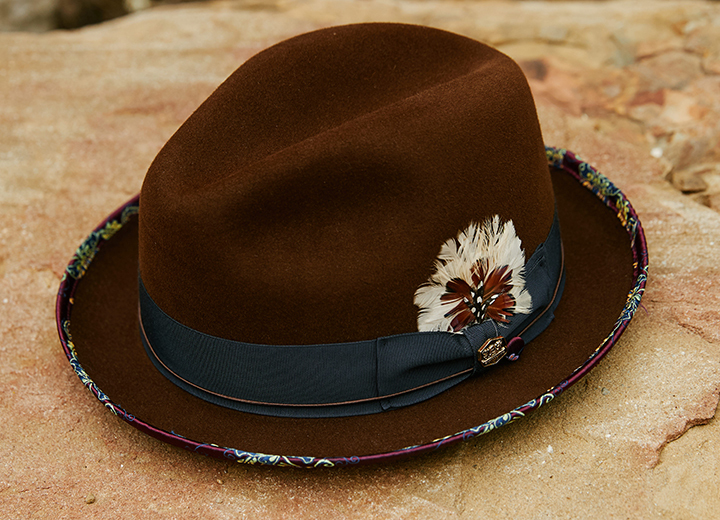 With a positive attitude and a little know-how, you're well on your way to enjoying a hat that fits well.